An ACP clinical practice guideline officially recommended noninvasive and nonpharmacologic treatments for patients with acute low back pain who are not at risk for serious underlying conditions. The best ways to diagnose and treat patients with low back pain may be the most challenging within a short patient visit: excluding serious conditions, and then reassuring, educating, and creating an individualized plan. Yet there is good news. More options have just been given the nod by a recently updated ACP clinical practice guideline, published Feb. 14 by Annals of Internal Medicine, which officially recommended noninvasive and nonpharmacologic treatments such as heat, exercise, tai chi, yoga, biofeedback, cognitive behavioral therapy (CBT), massage, acupuncture, and spinal manipulation for patients with acute low back pain, who are not at risk for serious underlying conditions. “These guidelines represent a step forward in medicine embracing integrative approaches,” said Jack Ende, MD, MACP, ACP President and Schaeffer Professor of Medicine at the Perelman School of Medicine at the University of Pennsylvania in Philadelphia. But having options may complicate matters. Because one is not necessarily better than the other, according to the ACP guideline, physicians have to dig to find the best fit amid concerns about availability, affordability, and patient preference. Adding to the decision-making mix are concerns about the use of medications—from acetaminophen to opioids—as well as the risks and costs of potentially unnecessary invasive treatments. So where's an internist to start? Dr. Ende recommended a careful history and physical exam to uncover any neurologic signs of a more severe problem or an underlying systemic illness that would necessitate imaging and referrals. Getting a good history and a focused/pertinent physical exam are the most critical steps of the office visit, said Adrian Popescu, MD, assistant professor of clinical physical medicine and rehabilitation at the Penn Spine Center at the Hospital of the University of Pennsylvania. First find out if there was trauma, constitutional symptoms, or falls; how the pain started; and what makes the pain better and what makes it worse, he said. Equally important is to find out if the patient had a similar episode of back pain and how that episode resolved. After red flags have been ruled out (see sidebar), he suggested maneuvers that can help the mechanical diagnosis. For example, for patients with radicular leg symptoms, discovering preferential direction of movement—one that reduces pain—leads to better physical therapy outcomes, he said. In addition, learning patients' past experiences in physical therapy, acupuncture, or massage therapy, for example, can guide the conversation and decision-making, said Robert B. Saper, MD, MPH, associate professor of family medicine at Boston University School of Medicine and chair of the Academic Consortium for Integrative Medicine & Health. Knowing what the patient does for a living and other social aspects could impact lower back pain treatments. Some options can have a positive impact, according to an article coauthored by Dr. Saper and published June 20 by Annals of Internal Medicine. That study concluded that a 12-week yoga program was as effective as physical therapy in improving back-related function and pain. Participants, who were from a racially diverse, lower-income population, were in both cases more likely than those just receiving education to stop taking pain medication. However, Dr. Saper noted that cost, availability, and patient preference need to be taken into account to determine if a structured yoga program is a good treatment option, as it is likely not covered by insurance and so may not be affordable or possible. Once patients with acute (as opposed to chronic) low back pain have been identified, the most important step is to preclude a serious underlying condition, then assure them that their pain is most likely going to abate. “Although low back pain happens to a lot of people—it's the second most common reason for an office visit—the vast majority do well and often don't need anything else,” said Allen S. Chen, MD, MPH, director of physiatry for the Columbia University/New York Presbyterian Spine Hospital in New York. Generally, the more acute the symptom, the faster it will improve—many acute episodes usually improve between a few days to a few weeks, he said. Some patients already feel better at an office visit after two weeks of pain onset. Others need six to eight weeks to come back to baseline, according to Dr. Saper. Internists should reassure patients about that timeline and advise them to remain as physically active as possible while reducing movements that bother them like lifting and twisting. Wait four weeks before adding other options like yoga or acupuncture, said Dr. Ende. Warn patients that they may get recurrent episodes. According to Dr. Chen, around 20% to 60% will have another episode within a year. “One of the biggest risks for low back pain is a prior history of low back pain,” he said. For those with chronic low back pain, Dr. Chen suggested internists provide a realistic picture of the more complex road ahead. Internists can discuss noninvasive options in the context of the ACP guideline. Pain might improve no matter what the patient does, Dr. Chen said, so it's important to get the patient to help choose the path that works best for him or her. Addressing chronic low back pain for those with few social resources and financial support can be particularly challenging, said Stefan G. Kertesz, MD, MSc, an ACP Member and a physician at the Birmingham Veterans Affairs Medical Center and associate professor in preventive medicine at the University of Alabama Birmingham School of Medicine. He focuses on modest pain relief and trying to help the patient find a new way to approach life. “As long as patients believe we are making a little progress and my team and I are invested emotionally in their successes, a little amount of pain relief will often be successful,” said Dr. Kertesz, who coauthored an editorial in Annals of Internal Medicine accompanying Dr. Saper's research. 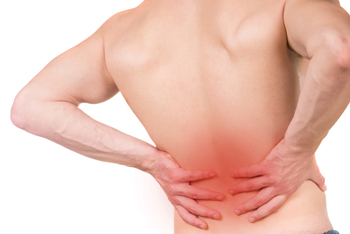 Dr. Ende recommended initially managing acute back pain patients conservatively. “This is, most often, a self-limited illness, and nonpharmaceutical measures should initially be prescribed. … Just let the patient get better,” he said. 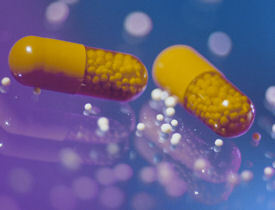 He pointed out that ACP's new guideline found that there's no difference between acetaminophen and placebo. “That's a game changer” for physicians who routinely prescribe the former, said Dr. Ende. The guideline shows slightly greater evidence for NSAIDs, although they aren't an option for some patients who suffer gastrointestinal upset or kidney issues, according to Dr. Ende. Dr. Saper encourages those with chronic low back pain who can take NSAIDs to take 600 to 800 mg of ibuprofen three times a day for the first 10 days, then as needed. If they have trouble sleeping due to pain, he prescribes a muscle relaxant at bedtime. Dr. Chen, who is also certified by the American Board of Pain Medicine, looks for other options besides opioids when treating back pain. “I rarely use opiates in my practice because evidence does not strongly support its use for [low back pain],” he said. However, Dr. Saper said he believed opioids may sometimes be indicated for short-term use for severe cases of acute back pain despite increasing concerns about the high use of opioids and their relatively lower effectiveness and safety. He carefully monitors patients taking opioids, scheduling a follow-up appointment in a week. The idea is to then move the patient to nonpharmacologic therapies and nonopioid medication. Dr. Ende agreed that there may be a role for opioids—along with careful physician monitoring—for patients whose lives have been overtaken by lower back pain. And Dr. Kertesz has seen that need firsthand at the VA. He said replacing opioids with other activities or therapies may help some patients, but not others. “A person with a body filled with shrapnel [may not be able to be] thrown into a yoga class and feel better while medications are being reduced,” he said. Patients should be referred emergently if there are severe radicular symptoms, red flag symptoms suggesting malignancy or infection, cauda equina syndrome, or fracture, said Dr. Saper. The patient should be referred urgently if there is evidence of severe or progressive neurologic symptoms, such as weakness, numbness, or severe instability. He also refers patients to a surgeon if there is an obvious anatomical cause (e.g., large herniated disc) of sciatic pain and the patient has not responded to conservative therapies and medications. Dr. Popescu noted that patients who had a recent procedure or spine surgery with significant worsening in postprocedure or postoperative pain and constitutional symptoms could be referred for urgent imaging or to the emergency department for bloodwork and imaging. Dr. Saper recommended referring to other clinicians—a physiatrist, chiropractor, osteopathic physician, physical therapist, or CBT therapist—if physicians feel they need further support or assistance managing the patient. 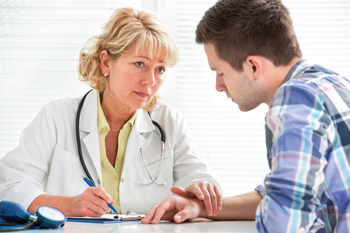 He suggested consulting with an addiction specialist if there are concerns about the patient's history of addiction, if the patient is exaggerating symptoms of pain to seek controlled substances, or if the patient is on opioids for chronic pain but the physician is uncertain if there is psychological addition. Dr. Chen said he often gets referrals from internists for patients who found no relief with physical therapy or other conservative options. These patients usually want to discuss other alternatives. Dr. Chen said that is exactly the right conversation. Paula Katz is a freelance writer in the Chicago area. Assess functional status. Look at how far the patient can walk before needing to stop and how long the patient can sit before needing to stretch, said Robert B. Saper, MD, MPH, director of integrative medicine at Boston Medical Center. He suggested asking about activities of daily living—can the patient carry a bag of groceries?—using tools like the Roland Morris Disability Questionnaire. Determine if the pain is axial or radicular. Radicular pain implies a higher chance of nerve impingement or a herniated disc. Look for red flags. These include neurologic weakness, saddle numbness, change in bladder or bowel control, fever, weight loss, history of IV drug use, or cancer. Look for yellow flags. These are signs or history that suggest patients might be at higher risk to progress from acute to chronic pain or develop greater disability, according to Dr. Saper. They include fear avoidance beliefs and behaviors (e.g., avoiding physical activity because of a belief that it will cause further irreparable damage to the spine). Another is catastrophizing that the pain is the worst they have ever felt or will cause lifelong disability. Patients with yellow flags should be assessed for depression and anxiety and may need more aggressive treatment with physical therapy and/or cognitive behavioral therapy. Dr. Saper recommended using the Keele STarT Back Screening Tool for assessment of yellow flags. The patient who says pain is eight out of 10 with radiating pain should get an MRI, because it might show a bulging or impinged disc, said Allen S. Chen, MD, MPH, director of physiatry for the Columbia University/New York Presbyterian Spine Hospital in New York. So should a patient who is over age 50, has taken steroids, and has osteoporosis, he said. If red flags have been ruled out, imaging should still be considered if there is progressive weakness or foot slapping (i.e., difficulty lifting the front part of the foot because of weakness possibly due to sciatica, muscle paralysis, or spinal cord damage), he said. Determine first-line recommendations. Dr. Saper first recommends simple exercises for low back pain, along with stretches and heat. Adrian Popescu, MD, assistant professor of clinical physical medicine and rehabilitation at the Penn Spine Center Hospital of the University of Pennsylvania, emphasizes the role of ergonomics (e.g., a standing desk at work), a healthy lifestyle, and weight loss. Establish expectations. It is rare that chronic low back pain will completely resolve, so create the appropriate expectation to reduce patient frustration, according to Dr. Kertesz. Follow up. For chronic low back pain, follow up every three to four months depending on how well the patient is doing and if he or she is taking prescription medications, Dr. Saper said. The American College of Physicians (ACP) recently developed a guideline to present the evidence and provide clinical recommendations on noninvasive treatment of low back pain. The guideline was published Feb. 14 by Annals of Internal Medicine.